Are you on par with the top-performing sites in your industry? Are you lagging behind your industry? Are you on the bleeding-edge with a mobile site Speedy Gonzales would be jealous of? Go to the mobile website speed test here. Enter your website’s URL and submit. Once preliminary results appear, click Get My Free Report. Enter your email and submit. 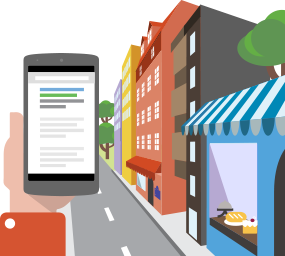 Review your free mobile website speed report to pinpoint what’s working and what can improve. Why Does Your Mobile Website Speed Matter? Alright, your website takes 10 seconds to load on mobile. So what? Before you shrug off a less-than-stellar mobile website speed score, it’s important to consider the categories on your report and the statistics that accompany them. 9 out of 10 people say that they use multiple screens for such tasks as booking a flight online or managing their personal finances. Read more: mobile website benefits. How Can You Improve Mobile Website Speed? Slow site mobile speed can be improved by web development fixes that optimize your mobile site by merging files, adjusting content load sequence, leveraging caching, and creating accelerated mobile pages. Not a web developer? No problem. Key Medium specializes in website development and can recommend and implement best practices, smart fixes, and innovative technology to help your mobile website perform at its peak. 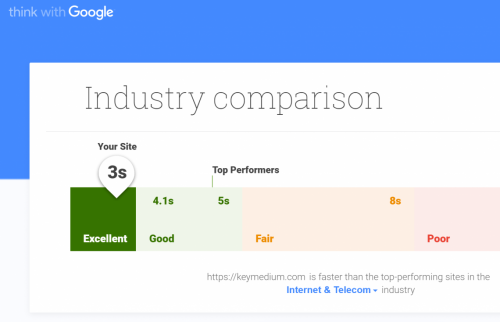 See how we scored for our website, keymedium.com, on Google’s mobile website speed test below. In today’s digital world, your business needs a top-notch mobile site. Key Medium can make it happen. Ali Jaffar has been building dazzling websites and creating amazing online experiences for over a decade. His mastery of the latest innovations in web development results in world-class website experiences set apart by show-stopping style and seamless functionality. A Google Mobile Sites and Google Analytics qualified individual and award-winning web development guru, Ali lends his talents to build and bolster digital experiences for a wide array of clients. When Ali's not helping his clients grow, you can find him doing yoga, walking his dog, exploring beautiful open spaces, and enjoying a nice bike ride around Philly.